Lamprocapnos and Dicentra are genera with similar-appearing flowers that are heart-shaped or have some other bilateral symmetry. Originally both groups were considered members of Dicentra. More recently, members of the Dicentra genus are those that contain all their leaves in a basal rosette; flowers appear on leafless stalks. Members of Lamprocapnos also contain leaves on the stems. 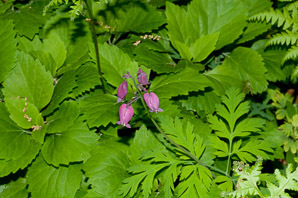 Other related genera, all previously classified as Dicentra, include Dactylicapnos (climbing dicentra), Ichtyoselmis, (large-flowered dicentra), and Ehrendorferia (eardrops). The first two of these do not occur in North America; the last is found in some areas of California and the Baja California peninsula. 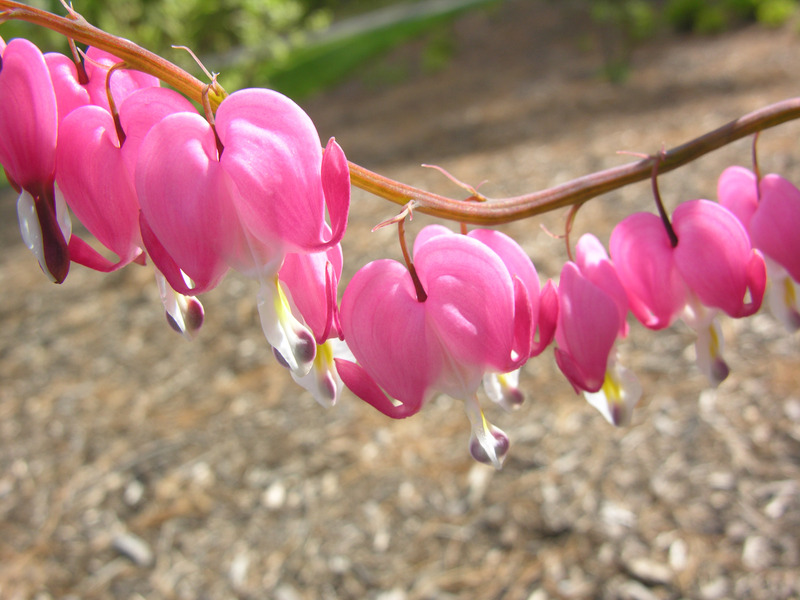 By the far most important member is Lamprocapnos spectabilis, or common bleeding heart. Lamprocapnos description by Thomas H. Kent, last updated 12 Oct 2018.